We are right in the middle of the tax filing season and deadline to file your 2014 tax returns is Aril 15, 2015. It is time to gather paperwork for your charitable contributions to qualified organizations and claim them on your Federal tax return. It can help you to lower your tax bill. 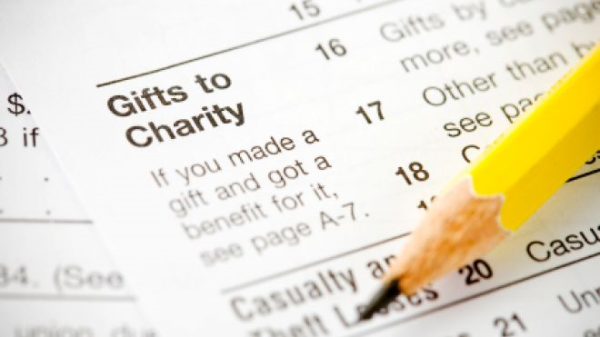 The Internal Revenue Service (IRS) published helpful tips for claiming deductions for charitable giving on your tax return. According to IRS publication 526, you cannot claim your contributions to political organizations and specific individual as charitable giving. Your giving must be to an IRS recognized charitable organization. Those who are filing Form 1040 with Schedule A only can claim the deduction. If you benefited from the donation you can claim only the amount that exceeds your share. Donations such as shares are valued at fair market value while used cloths and other household items are subject to special rules. If you are claiming cash, checks and other similar giving you should maintain records for your giving especially for cash donations over $250. Donations totaling more than $500 within the year require filing of Form 8283. Donations over $5,000 should be claimed by filing Schedule B of Form 8283.